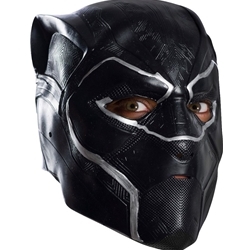 Embrace the power of the Panther Ancestry with the Black Panther Adult Mask! Pair with Black Panther Gloves for an easy to put together Halloween Costume, or go all out with our full Black Panther Costume. Wakanda forever!